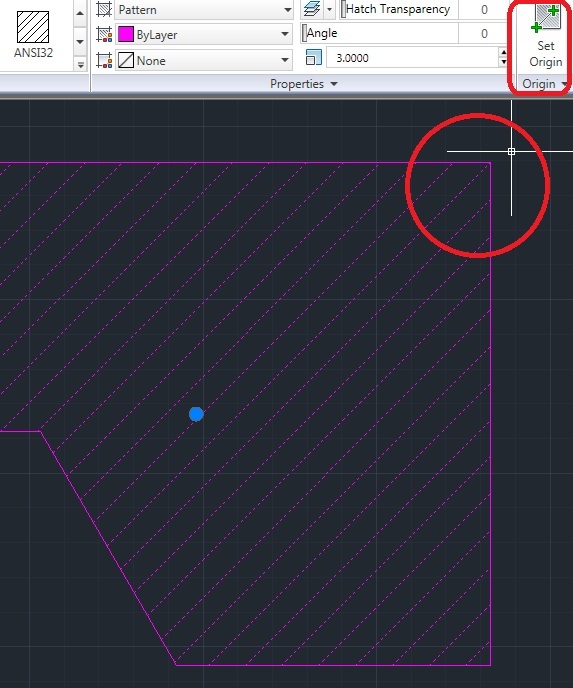 The new Hatch contextual ribbon (instead of the old dialog box) is a very cool addition to AutoCAD. With this new feature when you hover over an enclosed area (where the hatch will go) the hatch shows a preview of how it will look. 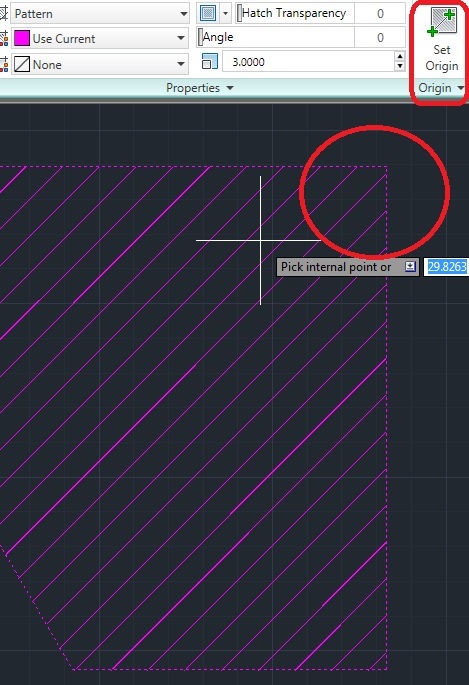 If you’ve ever made a hatch and then realized that it was on the wrong layer, you’ll appreciate this other new feature. 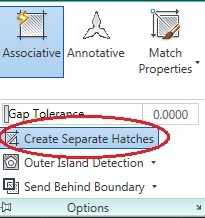 While creating your new hatches, expand the Properties panel and select the layer that you would like the hatches to be on. Select the hatch to be edited, and then select “Set Origin” found in the “Origin” panel (this tool has its own panel). Now that you have started this command, all you have to do is select the “Origin.” In this example, I picked the upper right corner. The hatch will adjust itself around the new Origin point.